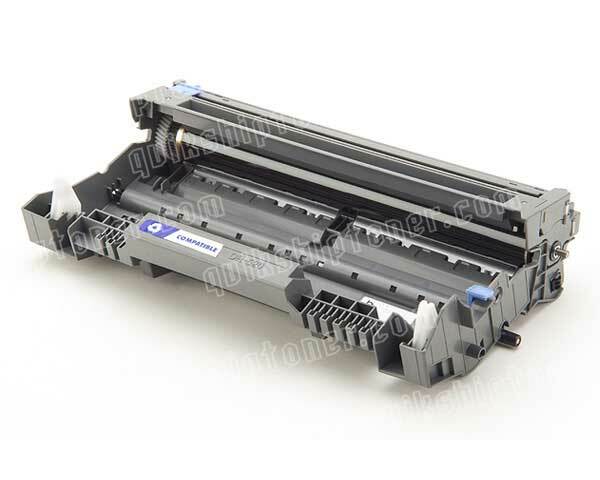 The Brother MFC-8460N is the network ready version of the popular Brother MFC-8460 multifunctional flatbed printer. This model, though now discontinued, is a great example of the ingenuity of brother's 5 in 1 combo machines that provide not only speed, but massive versatility as well, allowing for the small business to save money by combining many devices into one, affordable unit. With 1200 x 1200 dot per inch print quality, the Brother MFC-8460N puts many personal laser printer devices to shame, as many of them are limited to the often seen standard of 600 x 600 dots per inch. 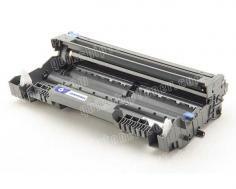 The truth is that 600 dpi, though great for text only printing, is not ideal when dealing with a multifunctional center, such as this, due to the severe limitations it places on the devices copying abilities. This printer, however, offers excellent copy features on top of high resolution including a built in 50 page automatic document feeder. A large document feeder such as this can save countless time when compared to hand feeding single pages one by one using a simple flip up top. This is not to say that the Brother MFC-8460N does not include an excellent document glass. The MFC comes equipped with a funny looking mushroom cloud design that allows for an oversized scan glass and an opening top that lets users scan or copy three dimensional objects, specifically books or magazines. 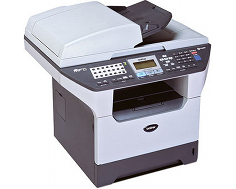 As a fax machine, it really doesn't get better than the Brother MFC-8460N, which meets the industry standard of 33.6 Kpbs thanks to a Super G3 fax modem which can transmit at about 2 seconds per page. There are units out there that have a handset included, which this device omits, but it does include a fax / phone switch and an external TAD interface, allowing users to attach a phone of their own if desired. Some of the features included with the fax machine are out of paper reception, dual access, automatic redial, and quick scan. The Brother MFC-8460N does not offer true 1200 x 1200 dot per inch scan resolution. Instead, it relies on 600 x 2400 dot per inch resolution which, though it is of equal quality, does not have the same accuracy as true 1200. The unit does allow for color scanning though, which is a plus, at 48 bits. Copy functions, though apparent, are slightly limited. A zoom feature is implemented with reduction and enlargement ratios of 25 to 400% which allows for a 2 in 1 or 4 in 1 feature, and stand alone copying with no PC attachment is possible, yet the copy adjustment controls are limited, and not easily accessible. Review it: "Brother MFC-8460N "
The drum unit for the Brother MFC-8460N offers up a great page yield, producing up to 25,000 sheets per unit. 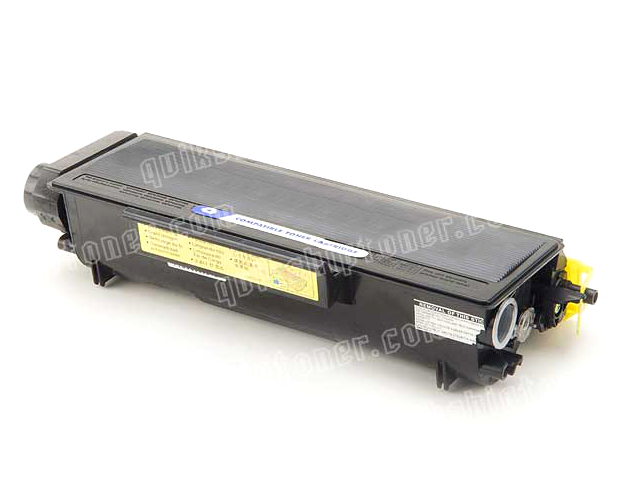 The toner cartridge itself is also fairly high yield and each one can output up to 7,000 pages at the standard 5% coverage, though most print applications will require more coverage than this.